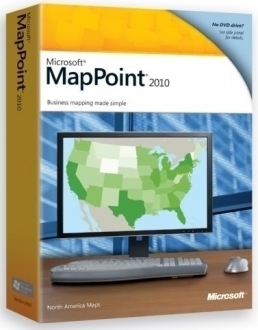 MapPoint 2010 lets you see your business in a whole new way. Use information-rich maps to illuminate data relationships, identify business trends, and illustrate opportunities. Use trip planning options to create routes and optimize stops, or plan your trip on your PC and then print, or send your route to your GPS device (not included).